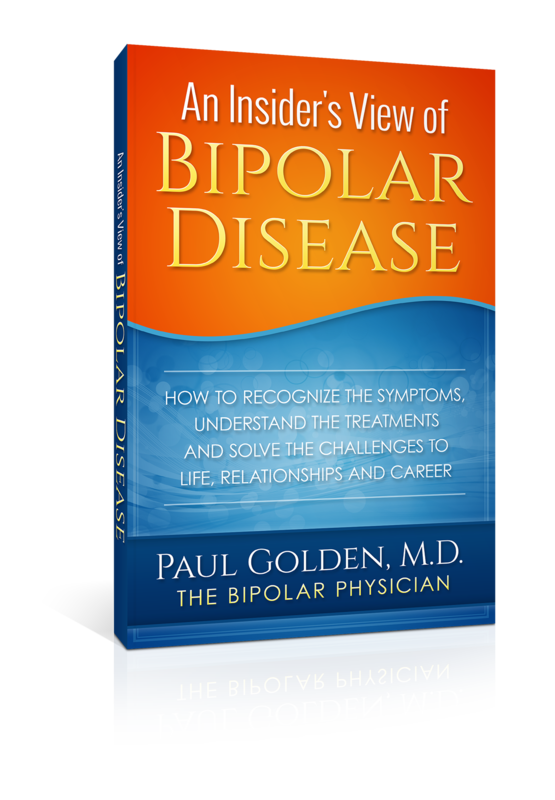 An Insider's View of Bipolar Disease - Paul Golden M.D. Do you wonder if you – or someone you love – could be suffering from bipolar disease? Do you want some straightforward information on treatments? Are you worried about how to handle the social stigma associated with this and other mental illnesses? 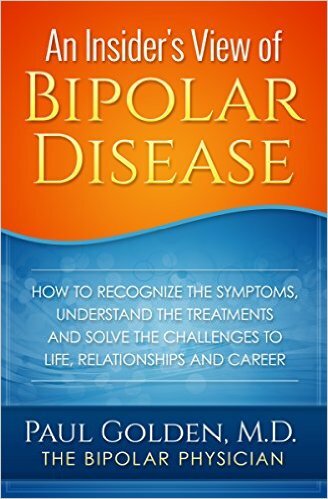 Answers to these and other questions can be found in this resource created by a doctor who has lived with bipolar disease since he was in medical school. 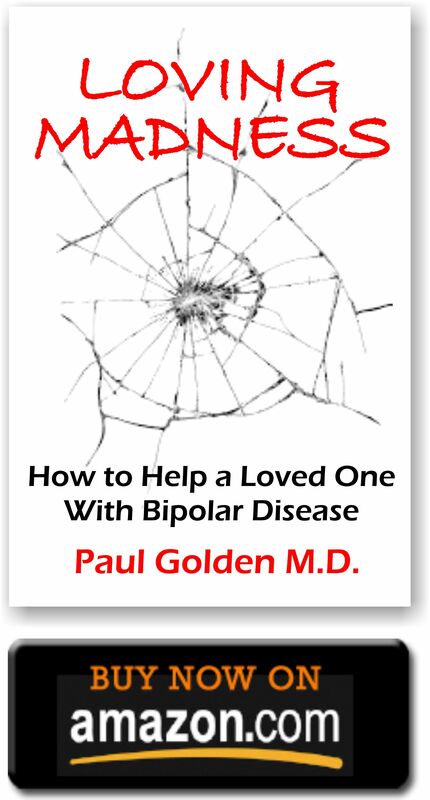 He knows bipolar disease from the inside. 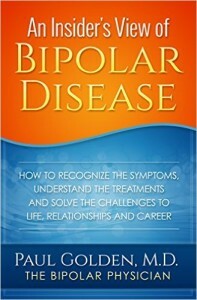 Dr. Golden wants you to be informed and courageous and he wrote this book to help you on your journey.